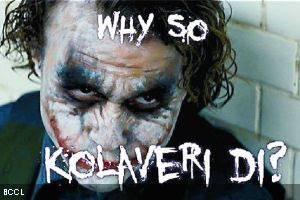 Kolaveri - killer rage or murderous rage. onos! the email fwd crowd has discovered Kolaveri! 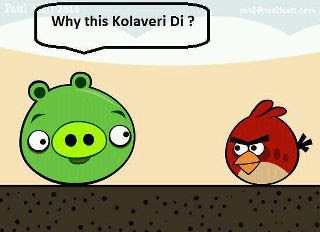 how cool is Kolaveri di!!! slamming it LOUD! well done Dhanush and Aishwarya. big up guys! No no no, I am not gonna tweet about it. No friggin way....!! Oh f*#k it! @V1SH4L I haven't stopped singing #kolaveri !! Happy now?! The music video of #Kolaveri to air ONLY on MTV all day tomo! 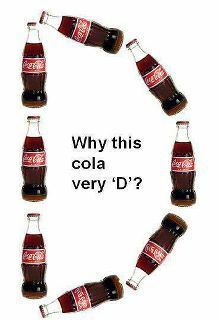 RT if you can’t get “Why this Kolaveri Kolaveri Di” out of your head! Holy Cow-uh...You want to hear now-uh?! We're going to be airing #Kolaveri exclusively on MTV all day tomorrow!! !Tune in and enjoy-uh! Kolaveri is slow poison. You get addicted. Then you start searching for Shruthi hassan pics. i love this song very much... Anirudh play the music chords well. Dhanush sang super.. Totally their combination hit..